Picking a favorite town along any stretch of Route 66 would be like picking a favorite child, but Holbrook is definitely a strong contender. 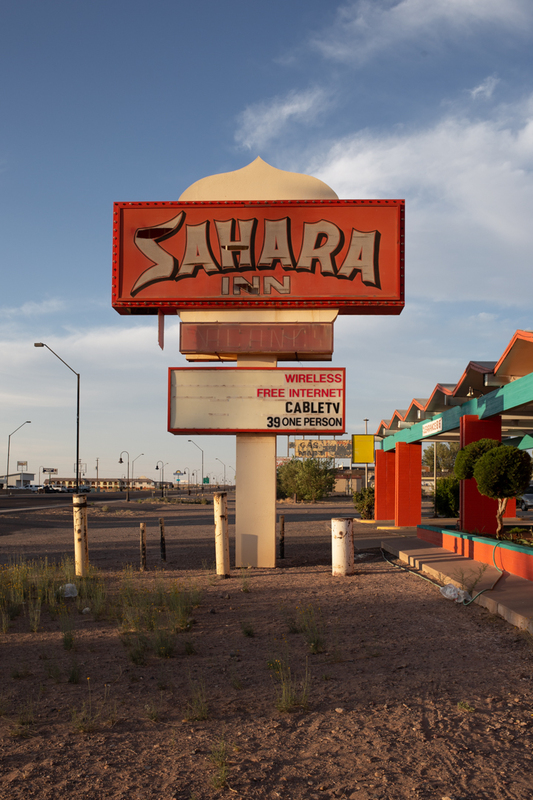 Not only is it home to one of the three remaining Wigwam Motels (and the last one I slept in), but it is full of fantastic signage, overcrowded souvenir shops and more kitsch per-square mile than any other place we stopped along the way from Flagstaff to Albuquerque. According to the 2010 census, the population of Holbrook was just over 5,000 people. 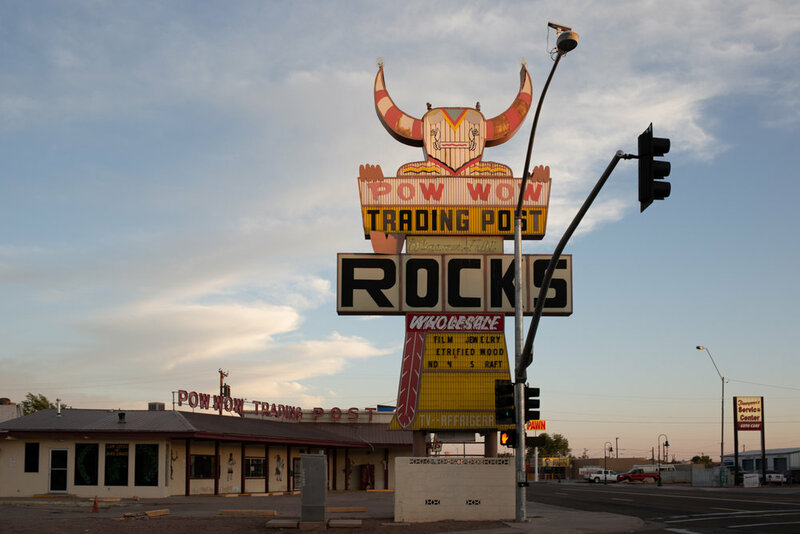 Originally inhabited by the Anasazi, Puebloans, Navajo and Apache, the town was founded in the 1880s, and named after the first chief engineer of the Atlantic and Pacific Railroad. In July of 1912, a 419-pound chondrite meteorite exploded over Holbrook, showering the area with 16,000 fragments. The largest piece, weighing 14.5 pounds, is currently housed at Arizona State University in Tempe. 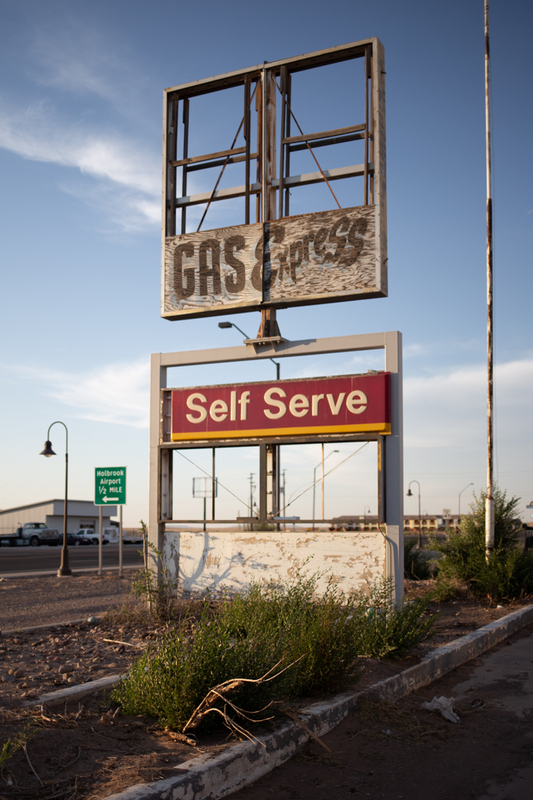 Route 66 was officially designated in 1926 and the Mother Road passed right through Holbrook and the nearby Petrified Forest National Park. 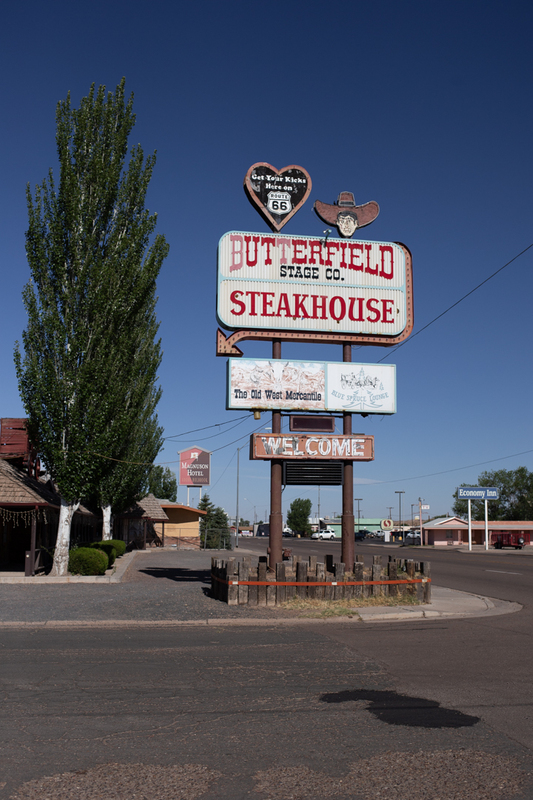 Holbrook isn’t quite as iconic as Tucumcari and it doesn’t have an up-and-coming arts district or a burgeoning restaurant scene, but it’s full of charm and more than its fair share of roadside dinosaurs. After checking into the Wigwam, JMP and I headed out to explore the tiny town and we weren’t disappointed with what we found. We ate dinner at the Mesa Restaurant, serving authentic Italian cuisine alongside seafood, steaks, ribs and burgers (all of which are advertised on a excellent neon sign). We explored as much as we could before the sun went down, and ended the night with a DQ blizzard, which we ate under another excellent sign while sitting across from the Holbrook cemetery.